I currently have two oval encasement. I have not seen others ones on Ebay. 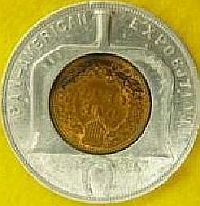 This oval encases a 1948 S cent. This is unusual as the encasement advertises SAMUEL AUERBACH INC. / UNUSUAL NOVELTIES / 14 E. 34TH, N.Y.C. I find it unusual for a San Francisco mint marked coin to be encased for a New York City firm; but then it does make a more interesting pieces The encasement is 44 MM by 35 MM. 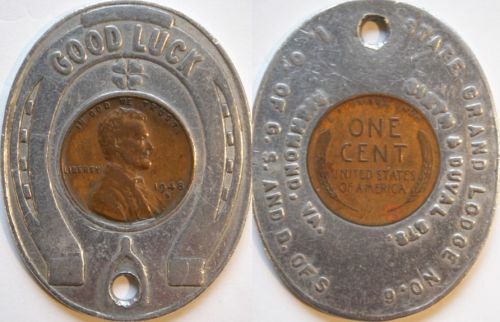 Note on the obverse that it only says, "GOOD LUCK". Most encasements have the generic "Keep Me & Never Go Broke / I Bring Good Luck. But this piece only has the "Good Luck" and the Horseshoe, Four leaf clover and the Wishbone. On the Obverse there is the advertising message, "SAMUEL AUERBACH INC. / UNUSUAL NOVELTIES / 14 E. 34TH, N.Y.C." I have been unable to find any information as yet on "Samuel Auerbach Inc." I ran a Goggle search and found nothing beyond the listing on Ebay and a listing on ECI's website. If you have any information regarding "Samuel Auerbach" please let me know. The Independent Order of Good Samaritans and Daughters of Samaria was established in New York City in 1847 as a temperance group and a beneficial society. Although founded by white men and women, within a few years African Americans began joining the order, for the most part segregated into separate lodges. Whites began withdrawing from the order around the time of the Civil War, and before long it was an exclusively African American organization. It was probably one of the largest African American fraternal groups. The motto of the Order of Good Samaritans and Daughters of Samaria was, "Love, Purity, and Truth." Its objects included promoting temperance reform, securing charity for the unfortunate, and burying deceased members of the order. Membership was open to women between the ages of 15 and 50, and men between 18 and 50. Abstinence from "intoxicating drinks" was required; members found violating this requirement on one occasion would be suspended, and upon a second violation be expelled. Members could also be expelled for betraying secrets of the order. A Philadelphia branch, Golden Star Lodge, No. 4, of the Independent Order of Good Samaritans and Daughters of Samaria, was organized November 17, 1880 under the jurisdiction of the Right Worthy District Grand Lodge, No. 2, of Pennsylvania and Delaware. 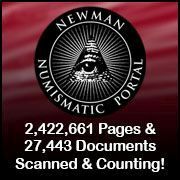 That year, the national order counted around 20,000 members in up to 375 lodges located across the United States, Canada, and the Caribbean. "Constitution and By-Laws of Golden Star Lodge, No. 4, of the Independent Order of Good Samaritans and Daughters of Samaria." Philadelphia: Bowie, October 1911. Booklet found in collection. Skocpol, Theda, Ariane Liazos, and Marshall Ganz. What a Mighty Power We Can Be: African American Fraternal Groups and the Struggle for Racial Equality. Princeton, N.J.: Princeton University Press, 2006. Accessed February 7, 2014. http://books.google.com/books?id=Ku9aOC9OxnMC. Pages 46-47. Further in the Report of Virginia Bureau of Insurance, 1920 can be found on line 30 State Grand Lodge No. 6, Independent Order of Good Samaritans and Daughters of Sameria of Virginia. See image below. The obverse has a traditional "Good Luck" legend and a wishbone, a four leaf clover and a horseshoe. I'd like to thank Gerry Tebbens, Harry Waterson, Rich Bottles Jr., Julia Casey and John Byers, who all provided information and help in identifying this encased cent.